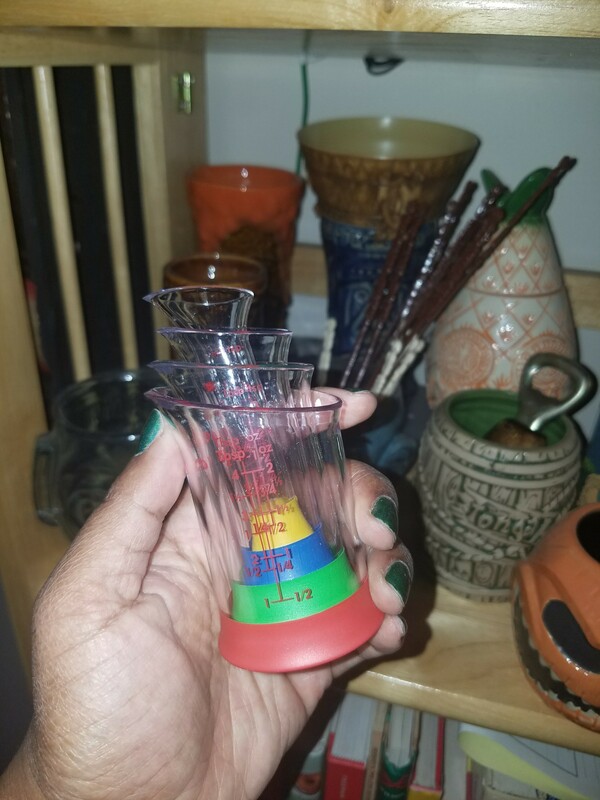 My Auntie Pat (after whom I am named) sent me a care package a number of days ago and I just absolutely had to share the measuring beakers that she sent to me. THEY NEST, YOU GUYS! They have changed my life. I can measure out, say, 3 Tablespoons all at once. Or 4 teaspoons ALL AT ONCE. 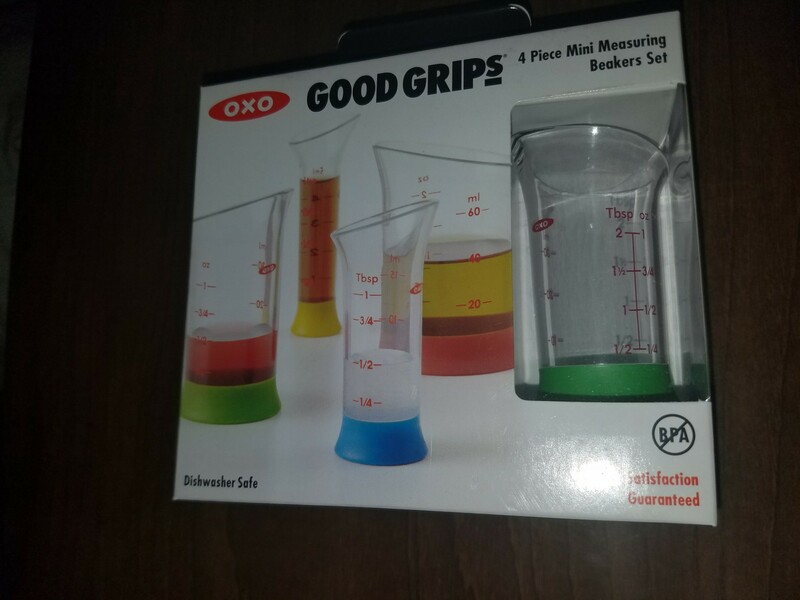 They are available for purchase here: OXO Good Grips 4-Piece Mini Measuring Beaker Set . 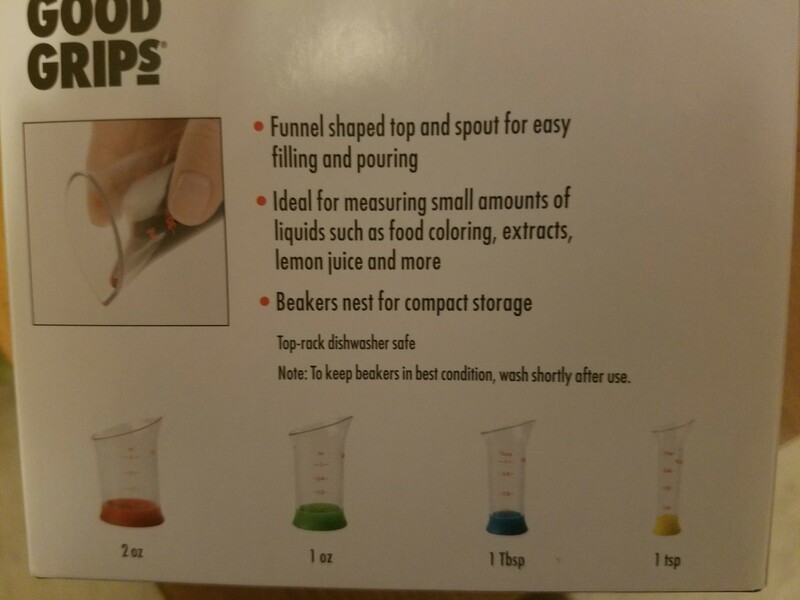 There is also this 7-piece measuring beaker set by the same company which looks pretty great: OXO Good Grips 7-Piece Nesting Measuring Beaker Set, Multicolored . 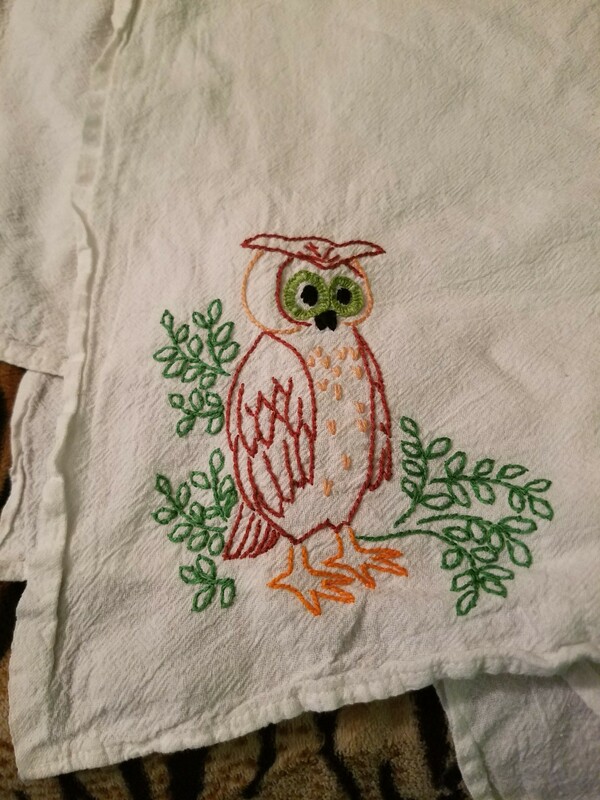 I also got this super cute tea towel. I love owls! I cannot shout enough about how much I love ILNP nail polish. Here are shots of the ones that I pre-ordered from the Spring 2017 collection. Check them out on the site to see them on actual nails. The Magician is a limited edition top coat. From the description: “During a recent office move, we stumbled across a small stash of this treasured pigment that we purchased in 2013 and we decided to share it with the world as a limited-edition topper! As far as we know, this pigment is no longer being manufactured and we currently have no way of getting our hands on more. We’re very aware of what some bottles of this kind of polish go for but we’re not going to take that route. 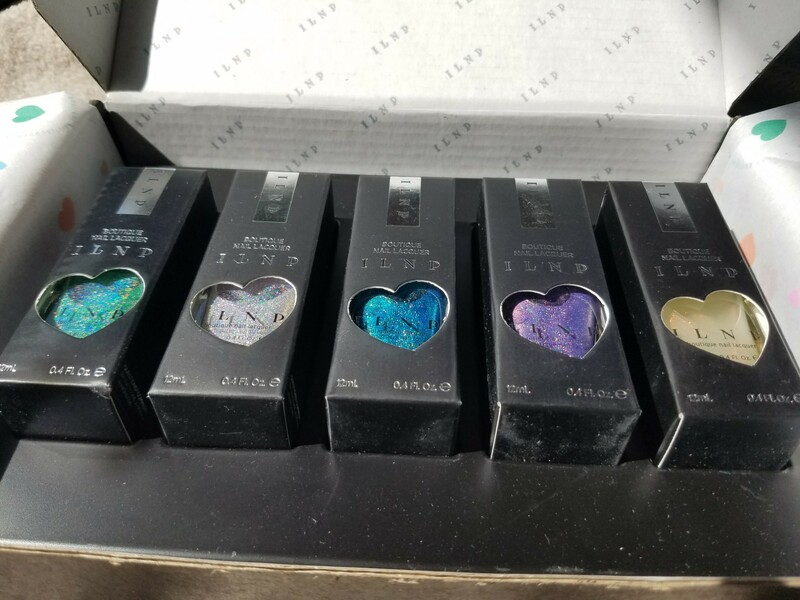 We’ve priced this nail polish to be in line with the rest of our catalog so that everyone could have a chance at owning a bottle of this glorious magic! 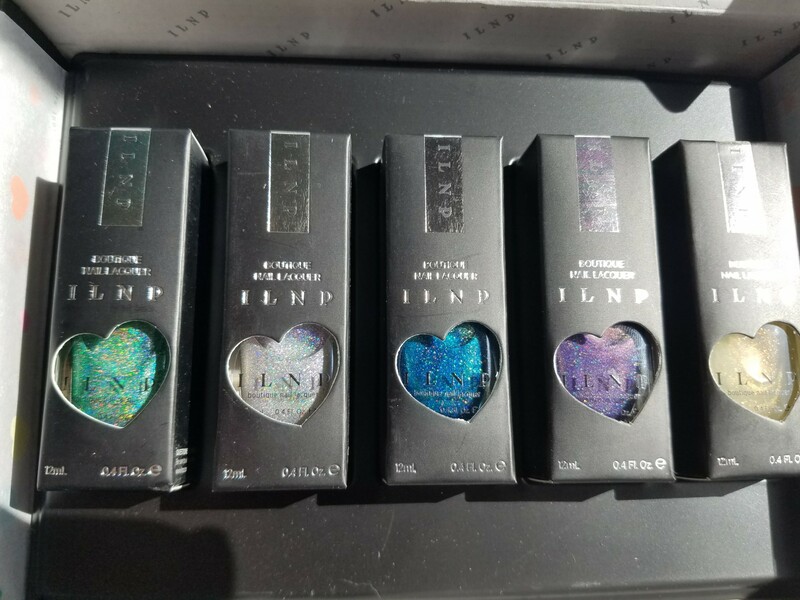 BTW I am in no way sponsored by ILNP. I just love their products. Time for my review of February! 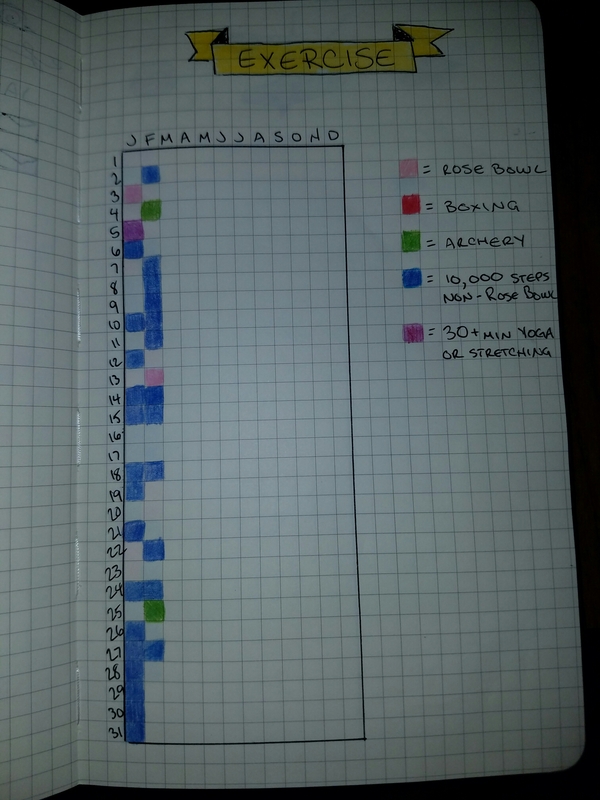 Here’s my update of my yearly goals which I spoke about here (link) and photos of my journal which I talked about setting up here (link) and the January review in case you want to see that (link). Bedtime stories! We’ve been a bit lax on reading to each other at night, but we did happen to finish Fantastic Beasts and Where to Find Them though we are going to have to purchase this Hogwart’s Library set which comes out in a week to get the updated version. We are about to start on Quidditch Through the Ages. We did okay at cooking at home in February. Not great, but we still managed to cook most weeks. 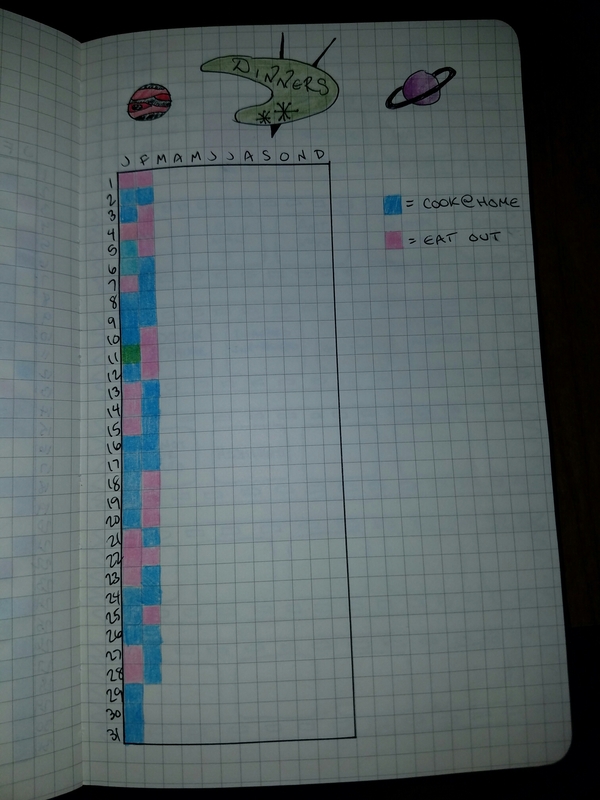 The days that are pink are mostly weekends when we eat out. 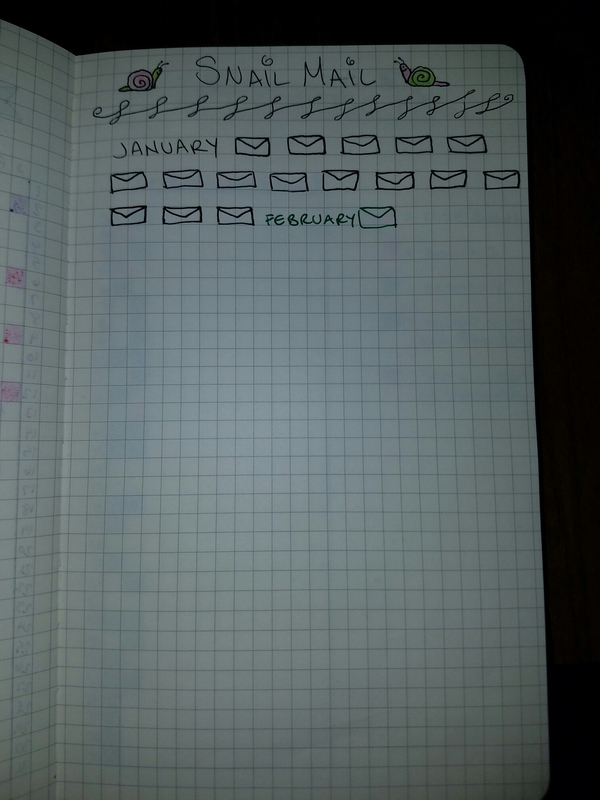 I managed to post to my personal blog one more time than I did in January! Yay! Total Snail Mail Fail in February. I only sent out one piece of mail (that was not a Valentine’s Day card). 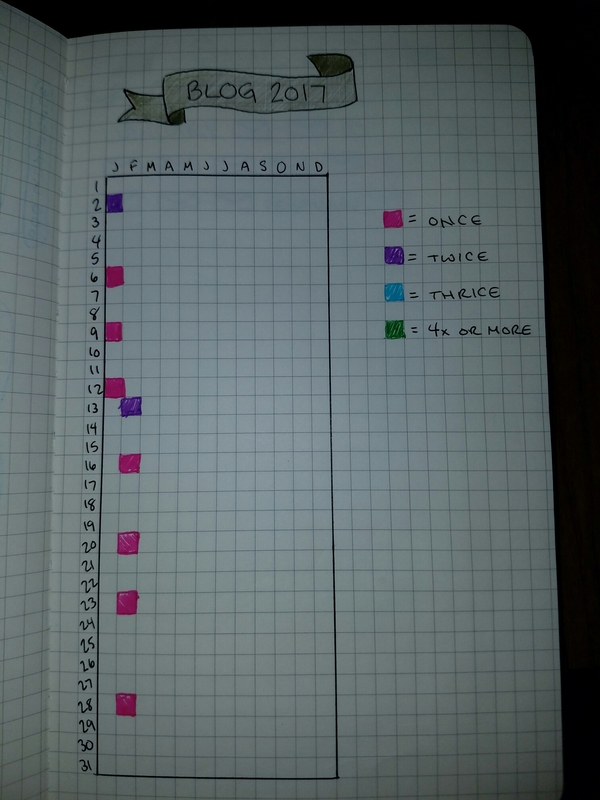 I have better intentions for March and it helps that I got my new Pipsticks subscription which I wrote about here. 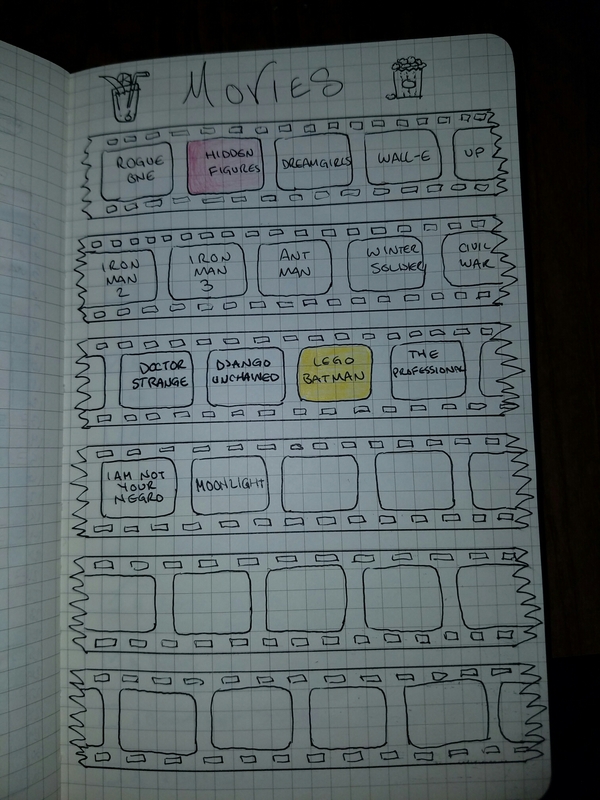 Added more movies to see but only got to cross off one: LEGO Batman! It was a lot of fun and arguably the best Batman movie. Well, the exercise is not great. We actually ended our boxing gym membership for financial reasons. Trying to at least get my 10,000 steps a day in. 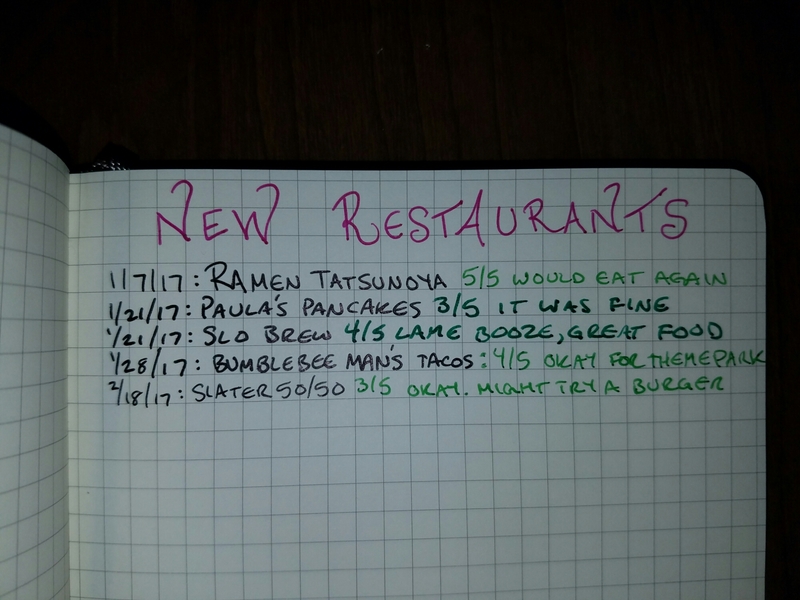 We ate at one new restaurant in February: Slater 50/50. They are well-known for their burgers but we weren’t that hungry so I ended up getting their loaded baked potato macaroni and cheese. It was fine. I’d go back to actually try a burger sometime. Increase my Book Riot posting from 2 posts per month to 3 posts per month: I wrote three posts in February! Hooray! Go to 4 archery shoots: I’ve still gone to zero so far. Fail. Reach 500 Litfluence on Litsy: I have reached 529 and have met this goal! I think I set it too low, so now my goal before the end of the year is 1,500.
Review the books I read: Yes, I’ve been doing this! See 2 friends per month: Yep. Did it! Explore 6 new (to us) neighborhoods: We haven’t done any yet really. Continue ukulele: I’m supposed to be practicing on my own but I have not been doing well lately. Drink at least one glass of water per day: Mostly doing this. Answer one question per week on Quora: Eh, haven’t done great at this so far. I got my first Pipsticks subscription “box” in the mail. 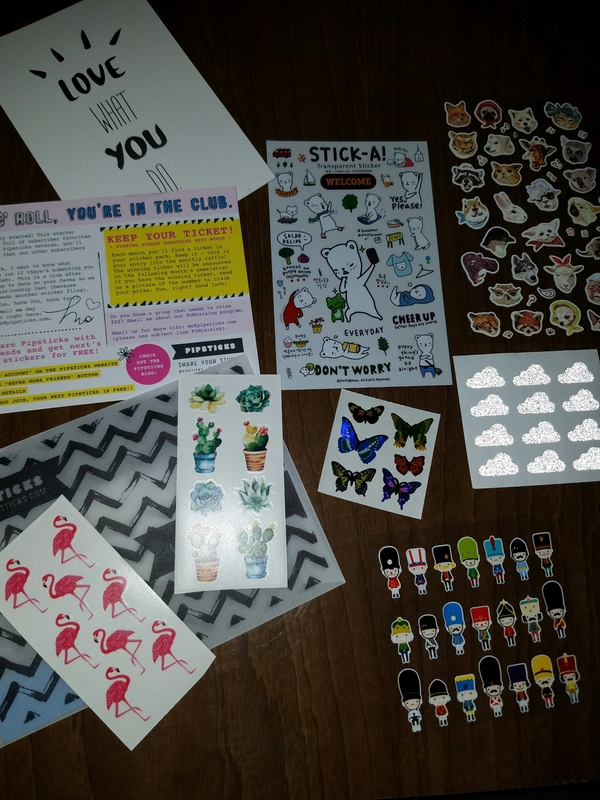 It’s a monthly sticker subscription and I am 100% all about it. There are 4 options for subscription, a classic size and a petite size for either adults or kids. I have gone with the petite size for adults for $9.95 per month. Pipsticks also offers free printables which can be pretty fun and I’m absolutely in love with the packaging and presentation of the sticker pack. The pack in the photo above is full of subscriber favorites, which goes to each new subscriber. In all following months I will receive the stickers that all other subscribers get. If you love stickers, this is fantastic. I also think it makes a super fun gift! If you subscribe through this link, you get $5 off your first order (here’s the link again). There are only 8 more days to subscribe for the next month (though the link works at any time) and you can cancel whenever you want. #1: I’ve been doing some crying lately because that’s what happens sometimes when you have depression. Me: You made me cry. Cole: I did not make you cry. Me: Fine. Hei hei made me cry. Cole: I don’t even know if birds cry. Cole: I… walked right into that, didn’t I? Me: I even wrote a song about doves crying. Cole: You most certainly did not write that song. If you wrote that song we would not be living in this apartment. Me: I wrote the song but I was just bad at business. Cole: Also, you had to be like eight years old if you wrote that song. Cole: There are some very mature themes in that song. Me: I WAS A PRECOCIOUS CHILD! My latest from Book Riot and my last for this month. 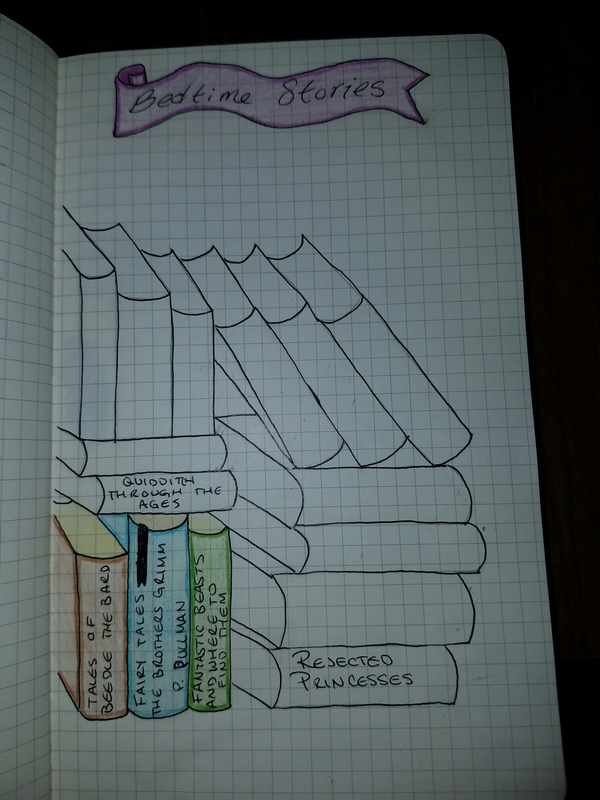 I hit my goal of 3 Book Riot posts for the month, hooray! Last night we went to see Finding Neverland at the Pantages. It was part of our season ticket package. I was unfamiliar with the show (I didn’t even know until yesterday that there was also a movie) and though I couldn’t hum you a single tune, I thought it looked gorgeous and it was very well done and has what I believe to be my favorite death scene in a musical. Cole: The weird family that sits next to us can’t find their car. Me: <laughs> The “weird” family? Me: Why are they weird? Cole: I don’t know. They’re just weird. Me: <still laughing> There is nothing weird about them! Cole: They probably think we’re weird. Me: So they’re weird because you think that they think that we are weird? Cole: They’re just weird. The kids look weird. Me: Of course they look weird! They’re going through puberty! Cole: Yeah, but they look extra weird. A few weekends ago we went up to San Luis Obispo to stay at the Madonna Inn for the first time. We stopped through Solvang on our drive up and ate at Paula’s Pancakes. We walked around the weird little town and even found a “tiki” bar that makes all their tiki drinks out of wine. I can’t drink wine and also I’m just morally opposed to making tiki drinks out of wine but we sat there anyway and I had some ginger beer and Cole had a weird Blue Hawaiian made with white wine. The decor in the place is great and it’s an excellent tiki space and the owner was super nice. But it was missing rum. The room we stayed in at the Madonna Inn was the Swiss Belle; the windows were stained glass cows. It was ridiculous, but clean and comfortable. The waterfall rock shower was especially silly. We may never stay there again (pretty expensive) but both happy that we finally did. It’s something that both of us have wanted to do for quite a while. I ended up buying four of their water goblets. I want them all, but I had to limit myself this time.